Orthopedic bone cement used to anchor the artificial joints such as elbow joints, shoulder, joints and knee joints. Polymethyl methacrylate (PMMA), is commonly used bone cement and widely used to implant fixation in various orthopedic trauma surgery. Furthermore, other commercially available bone cements include calcium phosphate cement (CPC), Glass polyalkenoate cement (GPCs) and others Bone cement fills the gaps between the bone and implant and holds the implant against the bone. Bone cement has no adhesive property but they rely on the interlocking mechanism between the prosthesis and irregular bone surface. CPCs have low mechanical strength so they are minimally used in cranial and maxilla-facial surgeries strength. Growth in the aging population globally driving the orthopedic bone cement and casting market. According to World Health Organization (WHO) between the 2015 and 2050, world’s population over 60 years will be nearly double from 12% to 22%. In addition prevalence of the osteoporosis, bone fractures due to the accidents are expected to boost the global Orthopedic bone cement and casting market. Furthermore, rise in trauma cases, surgeries, amputation due to the lifestyle diseases such as diabetes and others are propelling the market growth over the forecast period. However, the availability of alternatives such as bone grafts and their preference in major orthopedic surgeries may impede the orthopedic bone cement and casting materials market during the forecast period. The market is consolidated due to the presence of the many market players competing by new product launches and overcoming the drawbacks of existing products and expanding the applications of bone cement and casting material. For instance, in March 2017, Medtronic Plc has got U.S. Food and Drug Administration Approval for its Kyphon Xpede Bone Cement for fixation of pathological fractures of sacra vertebral body. Furthermore, companies also focusing on inorganic growth to strengthen their market position. For instance, in June 2015, DJO Global, Inc. has acquired assets from Zimmer Biomet Holdings Inc. including Biomet Cobalt Bone Cement, Optivac Cement mixing Accessories and others for the U.S. marketplace through its subsidiary, Encore Medical, L.P.
Geographically, orthopaedic bone cement and casting materials market is divided into five key regions, i.e. North America, Europe, Asia Pacific, Latin America, and The Middle East and Africa. North America orthopedic bone cement and casting materials market is expected to have the significant growth rate over the forecast period owing to the factors such as well-established healthcare infrastructures, technological advancements in the region and prevalence of the diseases such as osteoporosis and trauma cases. Furthermore, favorable health policies such as coverage under the Medicaid and Medicare services for the bone replacement projected to boost the adaptation of the bone cement. 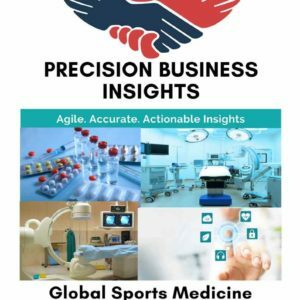 In Asia Pacific orthopedic bone cement and casting materials market, emerging countries such as India and China expected to have lucrative growth opportunities due to developing healthcare infrastructure, untapped opportunities, and growth in aging population. Europe orthopedic bone cement and casting market are expected to grow at notable rate owing to the aging population, prevalence of osteoporosis and presence of the key market players in the region. In January 2013, DFINE, Inc. has launched the StabiliT ERX bone cement to use with companies StabiliT vertebral augmentation system.